A modern office desk with full standing height adjustment, new NanoSoft laminate surface and a sleek design, the U desk is one of the latest additions to our standing desk ranges. It comes with integrated storage compartments and presents a smart clean look for flexible working environments; the U desk is the Product of the week. Designed for the agile and flexible workplace, the U standing desk has been designed to offer a slimline and smart desk option for modern working environments. 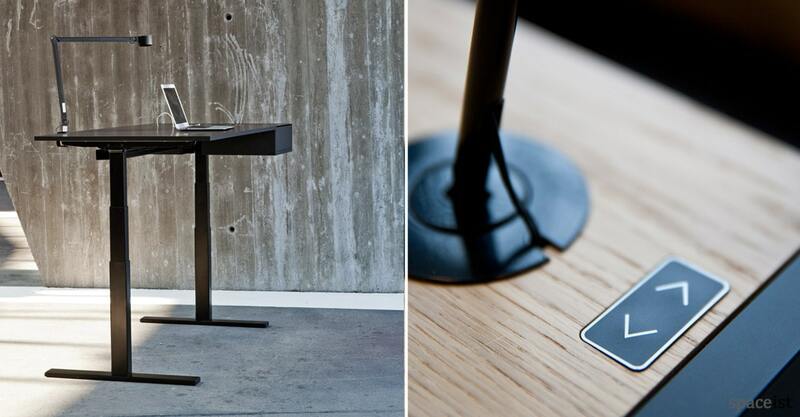 The table comes at a height of 61 cm, with full electrical adjustment to a comfortable standing height of 126 cm. 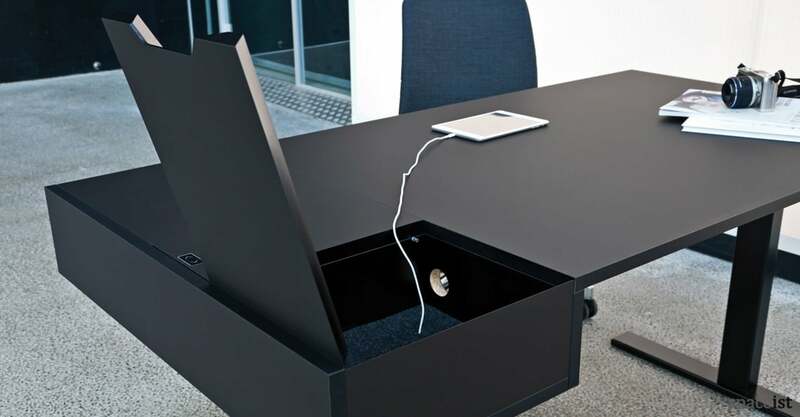 Practical for informal working, private offices and as a bench desk solution, the U desk comes with integrated cable management and functional desktop compartment units for storage, keeping the worktop free of clutter. Along with this clean and sleek appearance, the designers, Copenhagen based studio Henning Larsen Architects, introduce NanoSoft laminate on the top surface, increasing the high-quality of the U desk. As the name mentions, the NanoSoft laminate is an innovative new surface treatment that is soft to the touch yet insensitive to fingerprint marks. 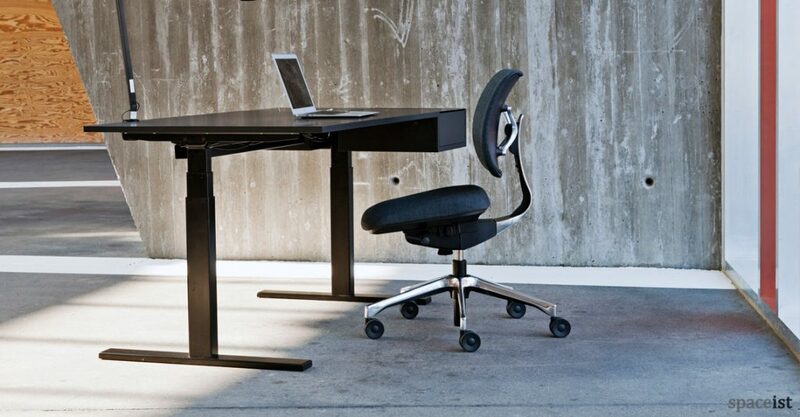 This allows the surface to sustain its original appearance for a professional and smart workstation. The NanoSoft laminate surface is also scratch-proof, antibacterial, sound absorbent and low reflecting.